This information is for the towns surrounding Lake Winnipesaukee. 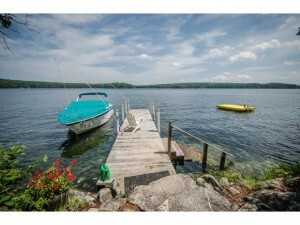 Alton, Center Harbor, Gilford, Laconia, Meredith, Moultonboro, Tuftonboro and Wolfeboro. 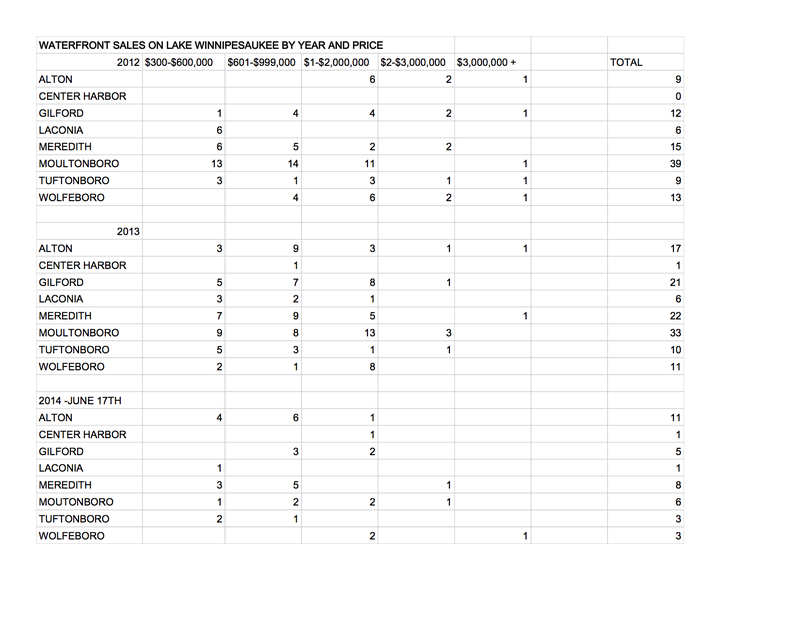 I think these statistics will be interesting to watch. 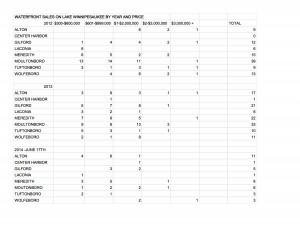 It should start showing you a trend. 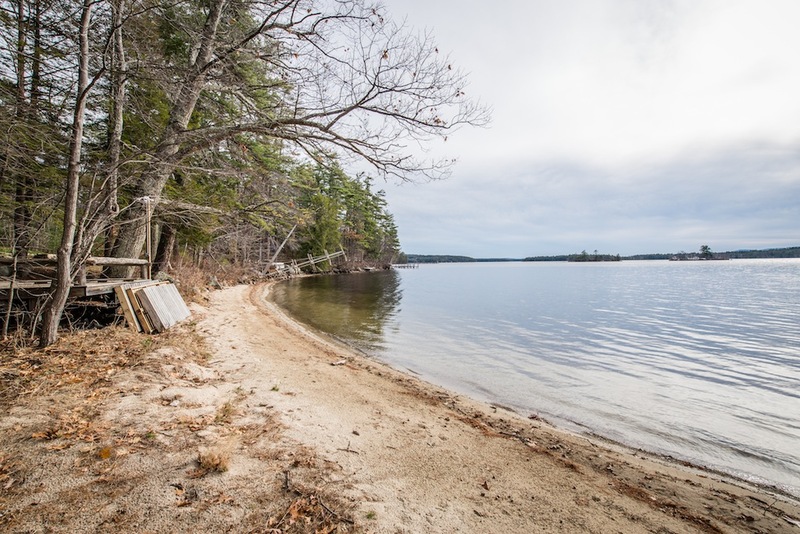 Keep in mind that Moultonboro has miles more of water frontage than any other town so you would expect the numbers to be higher there as there are so many more waterfront properties there. 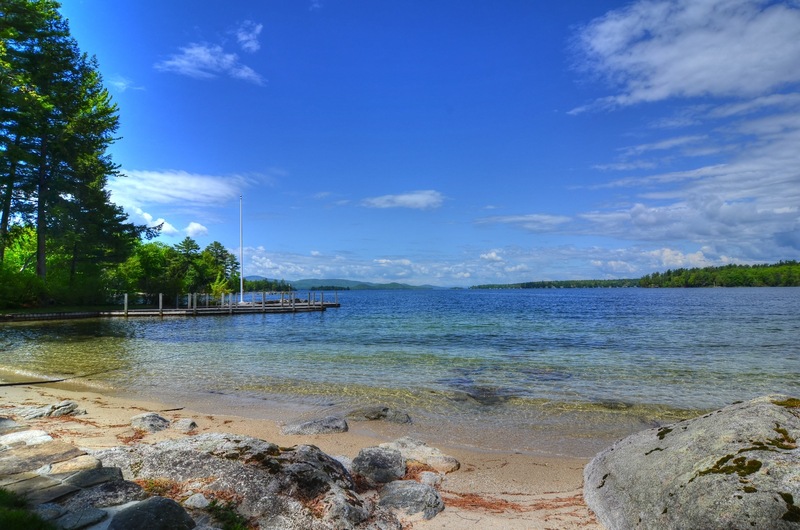 If you think you would like to see comparisons on other lakes or towns on lakes, let me know and I will try to come up with the information and post it. 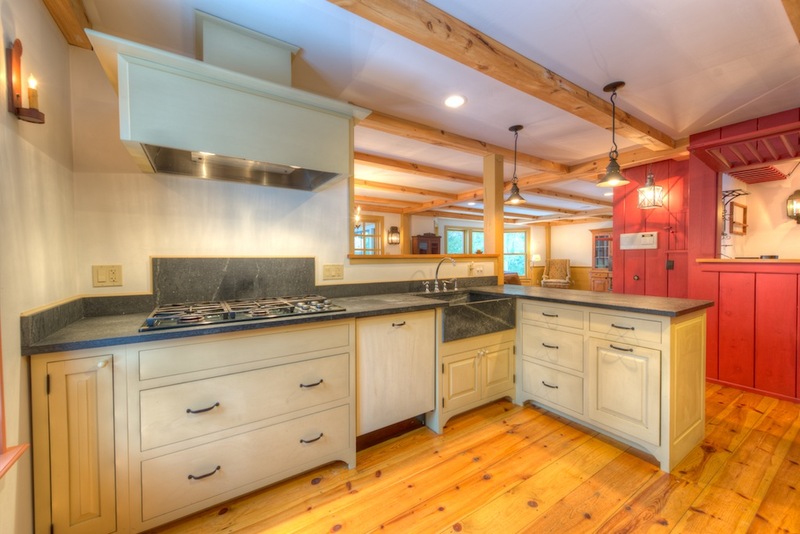 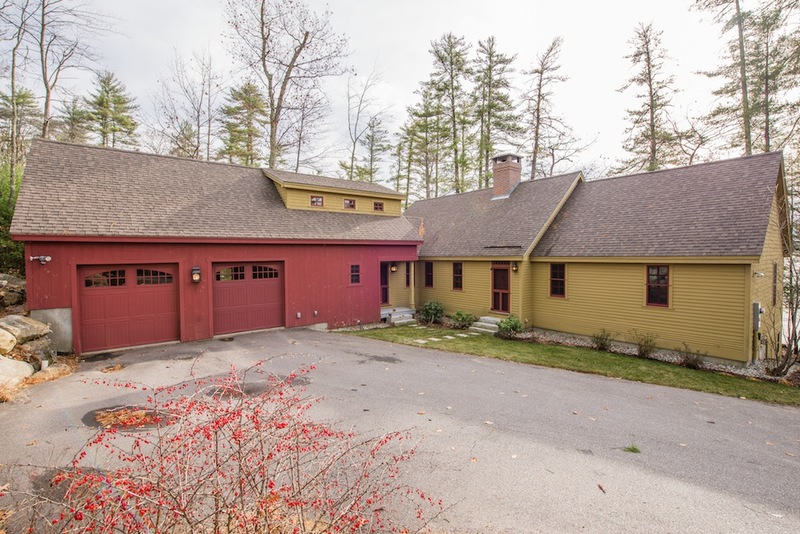 For help with any real estate needs in the Lakes Region, contact Ruth Neidhardt at 603-455-0176 , or Brian Neidhardt at 603-738-3798. 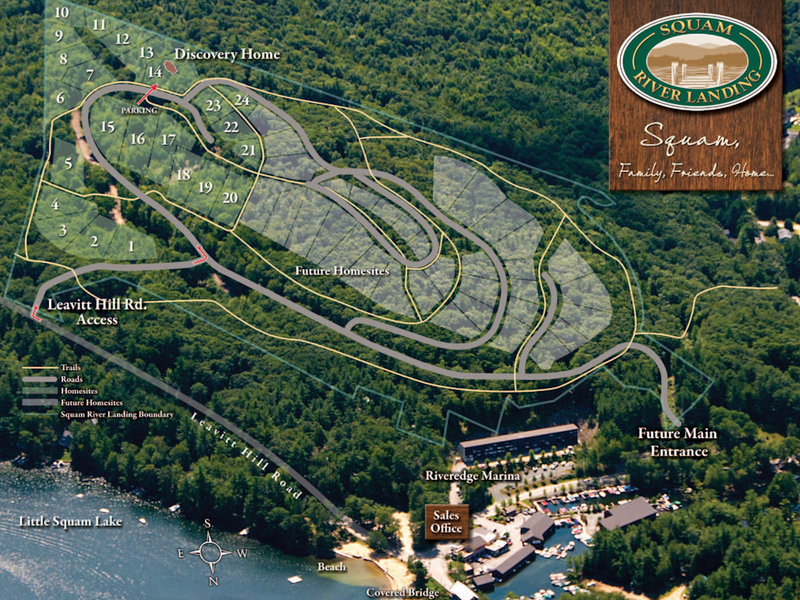 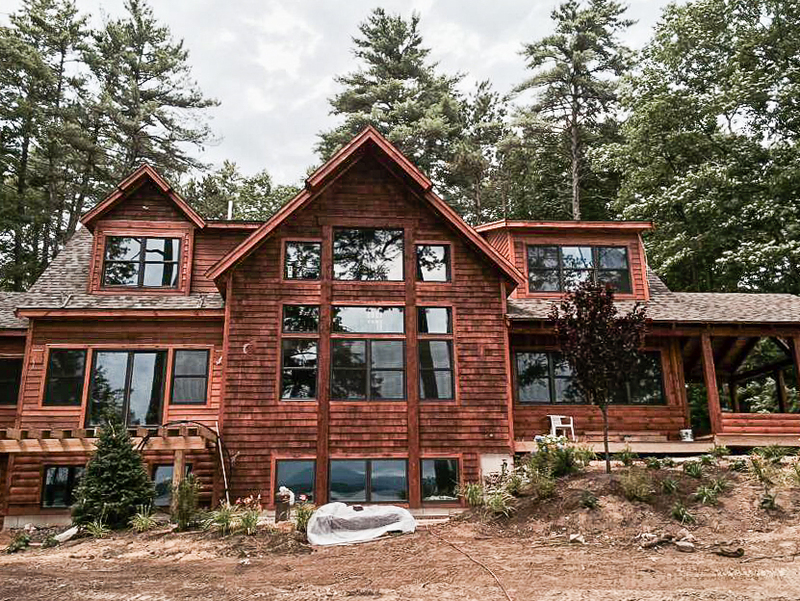 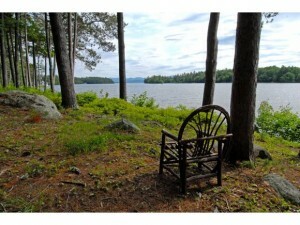 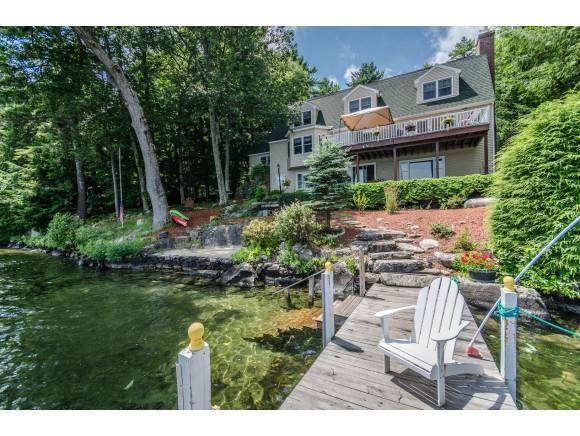 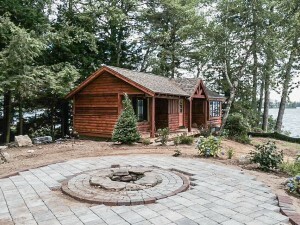 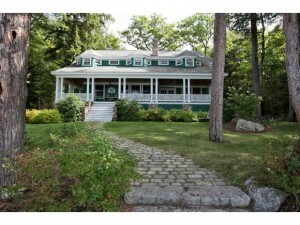 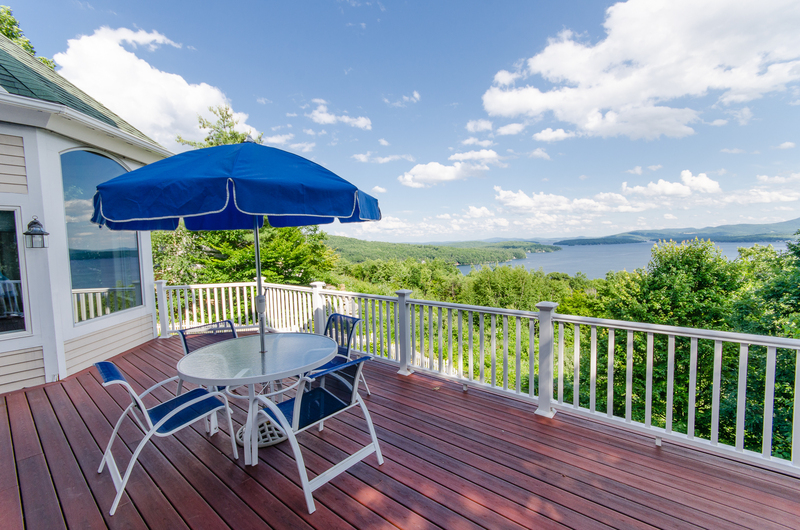 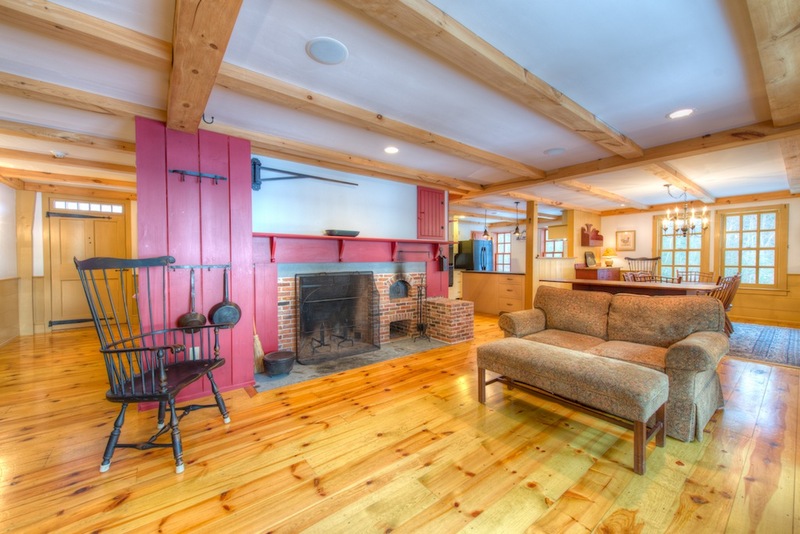 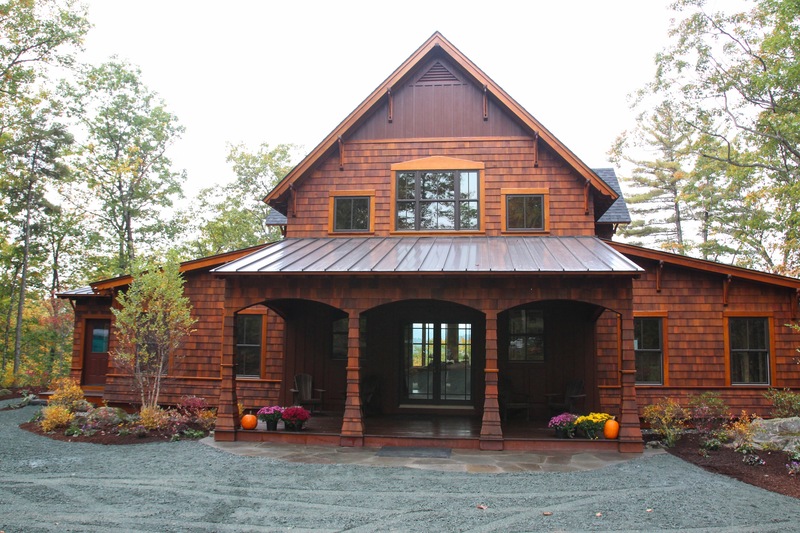 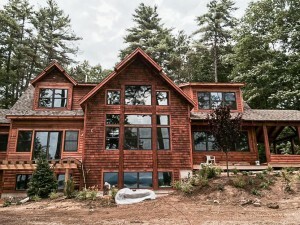 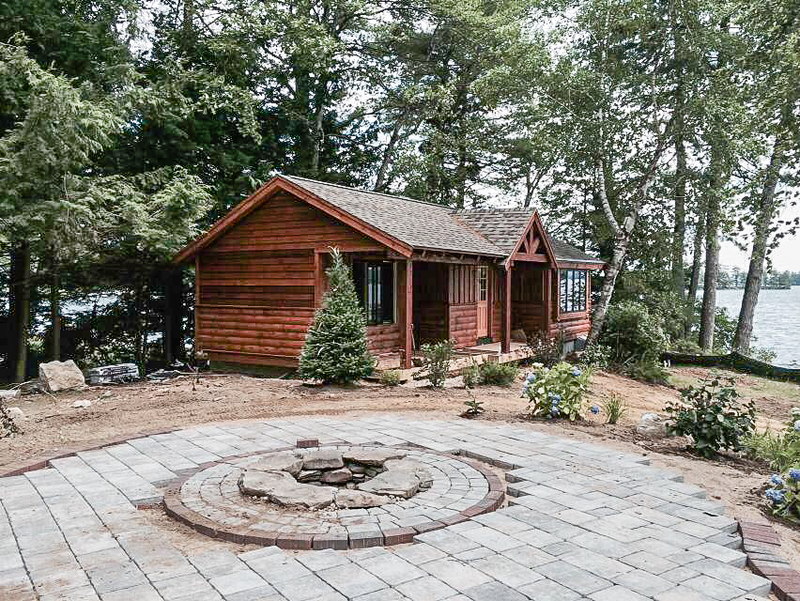 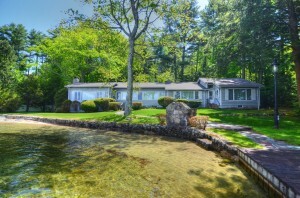 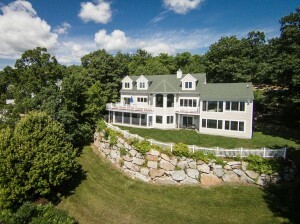 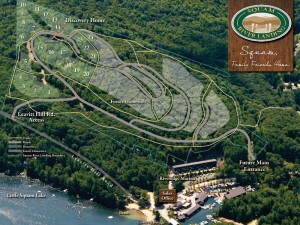 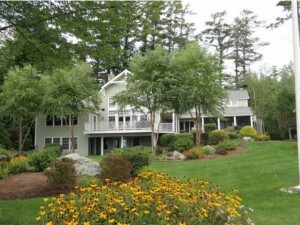 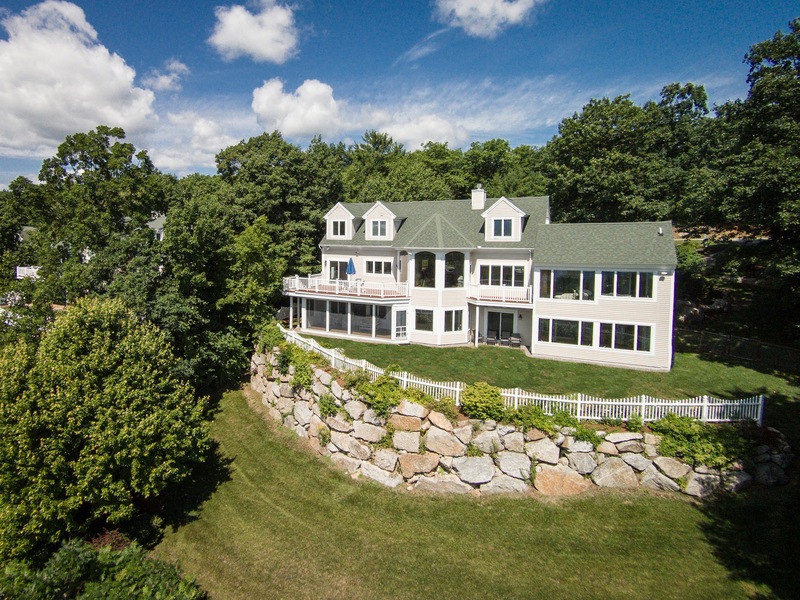 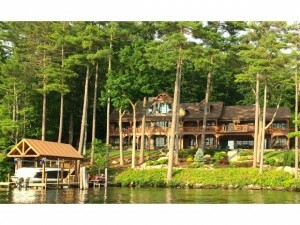 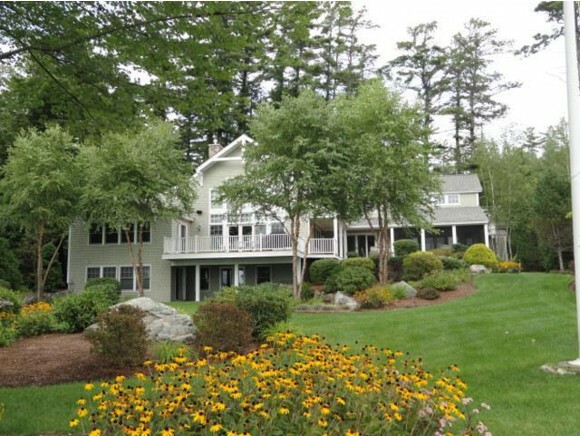 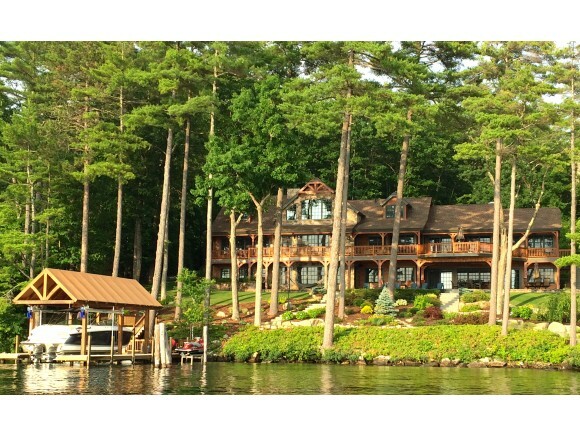 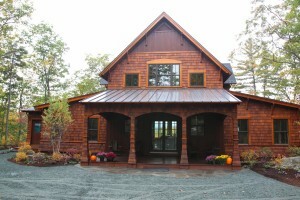 To see any and all Winnipesaukee waterfront properties currently available on Lake Winnipesaukee please visit www.nhlakesproperty.com .